Sparkstation Cloud computing is Internet-based computing, whereby shared resources, software and information are provided to computers and other devices on-demand, like the electricity grid. Cloud computing describes a new supplement, consumption and delivery model for IT services based on the Internet, and it typically involves the provision of dynamically scalable and often virtualized resources as a service over the Internet. For example, a particular website which generally require two servers may need an additional resources ( CPU,RAM and harddisk) to handle the load of a new load spike in a particular time. Occasional spikes in traffic can have a very heavy impact on your website. With Sparkstation Cloud hosting you can scale your hosting environment in real time to meet increased demand of resources due to seasonality, promotions and other events, whether its CPU, RAM or hard drive. When it comes to being in charge of the financial aspect of a smaller business, taking risks is one thing you’re undoubtedly wary of. That’s why it’s annoying to feel like you’re losing out on beneficial new technologies just because you’re not sure how well they’ll work for your business. Cloud computing is currently taking the IT industry by storm. It’s most touted as the perfect solution for big businesses looking to scale and save, but that doesn’t mean it’s not perfect for smaller companies too. Cloud computing is actually fantastic for organisations of all shapes and sizes – and, by choosing a trusty, reputable provider, you shouldn’t have to worry about adopting the service if your business truly doesn’t need it; a good provider will only recommend the services your company will most benefit from. Cloud computing can also be especially useful for small businesses because it can mean that you don’t have to furnish your IT department with expensive new servers and a great deal of hardware. By hosting in the cloud, you can skip the acquisition of physical servers and save a great deal of cash. What’s more, the cloud can have your business up and running straight away, making it a convenient and quick way to operate on. Whether you’re thinking about the public cloud – where several users share computing resources via virtualisation technology – or you’d like to keep a little more control of your IT and utilise a private cloud – where the technology is set up as your own dedicated environment behind dedicated firewalls and isn’t shared with anyone else, don’t let having a small company hold you back. Run, secure and manage applications in the private cloud or have them federated on-demand to partner-hosted public clouds with VMware Cloud. The main reason businesses these days use cloud hosting is the fact that it will provide you unlimited resources and you will be able to get unlimited functionality for your website. Our cloud services and products give you the freedom to leverage the power of cloud computing while retaining the flexibility and open standards to support your existing IT infrastructure. This class of service allows IT to reduce both the capex and resource challenges associated with the fluctuating infrastructure requirements of development teams. Developers are able to use the Cloud service at their convenience to address various infrastructure and programming needs such as experimentation, prototyping and testing. 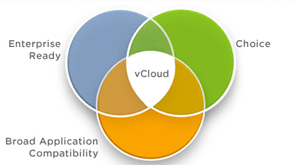 The Cloud service retains the robustness, interoperability and reliability that VMware is known for. Cloud hosting is a web hosting service that is delivered from a network of connected servers. The cloud allows hosts to have agility and be business-aligned for optimized performance. The major cloud hosts have fully redundant networks which use the major local and international Internet connectivity providers for premium bandwidth. Each virtual machine performs like a standalone separate server, Our customers can fully manage the virtual machine with our easy to use control panel with full root access to reboot , reinstall, clone their virtual machine independently. Each virtual machine is fully isolated with other virtual machines on the server. Each virtual machine will be able to create, edit, save, and deploy a Server Image. This feature speed up the virtual machine operating system set-up process and provide blazing fast scaling facility. At the heart of any network setup is the hardware and the hardware will make or break the quality of that network. At sparkstation we use all Cisco equipments for all our networking requirements. Each virtual machine in our cloud servers is isolated virtual network from other virtual machines using VLAN. Our virtual network for cloud servers works same as physical network setups. Our VLAN provide state of art scalable network setup allows customers to manage their all network resources. 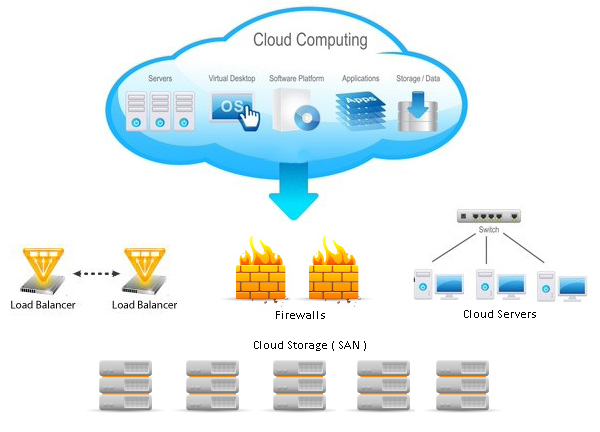 A SAN’s architecture works in a way that makes all storage devices available to all servers on a LAN or WAN. As more storage devices are added to a SAN, they too will be accessible from any server in the larger network. In this case, the server merely acts as a pathway between the end user and the stored data. Each virtual machine will have an isolated virtual storage that is setup within our state of art blazing fast SAN Storage infrastructure. With virtualized SAN storage our customers can easily copy, mirrorand swap data across the storage area network (SAN). The opportunity to have more resources available, the end user is able to expand their business without incurring extra inventory or overhead. For the first time ever, IT is getting something that is cost effective, more reliable and better all round. Cloud hosting provides benefits to everyone in cost savings through consolidation, better security, better performance and flexibility. There is also the benefit of redundancy. Users are now able to reduce their hardware inventory which leads to less power requirements and, of course, benefits the environment. Cloud hosting makes a very attractive proposition for anyone involved in e-business of any kind and especially those with budget restraints. Smaller businesses and entrepreneurs, among others, are now able to concentrate on business growth without the need to learn new skill sets or spend precious budgetary resources on extra staff.